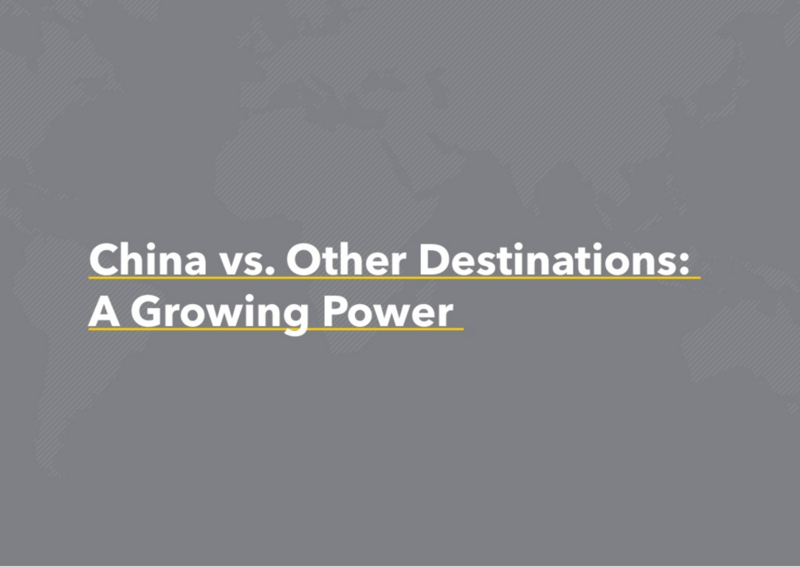 Over the past five years, we’ve had the privilege of witnessing first-hand the rapid growth of China as a destination for business, tourism and study. 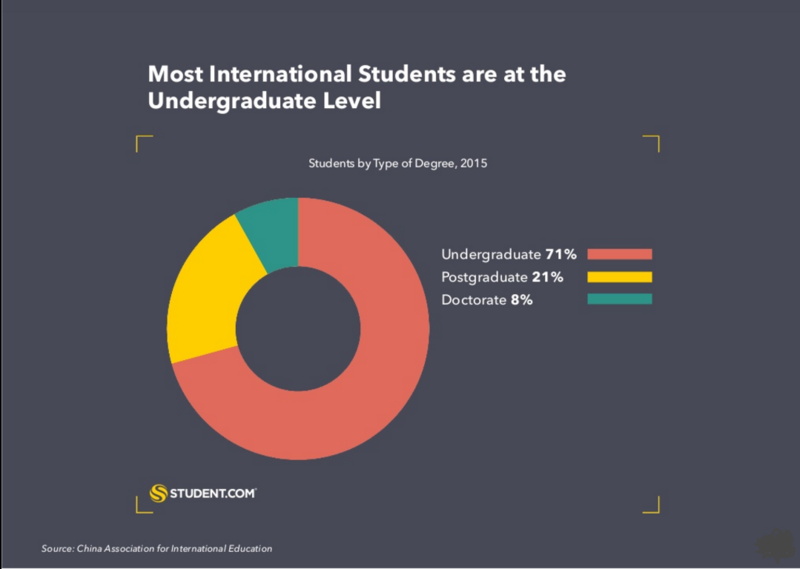 To help us better understand this trend, student.com have compiled a report based on data collated from official bodies, administrative organisations and educational institutions. 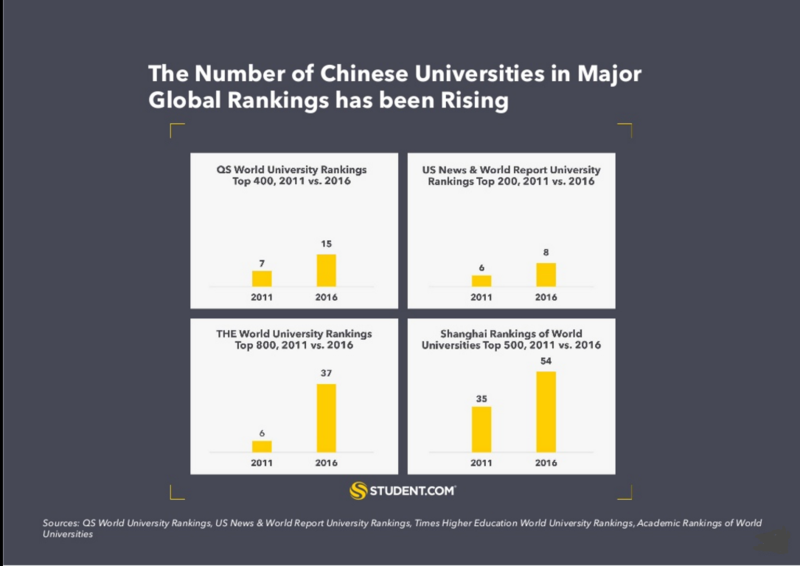 We hope the report will provide valuable insight into China as a destination for students and universities. 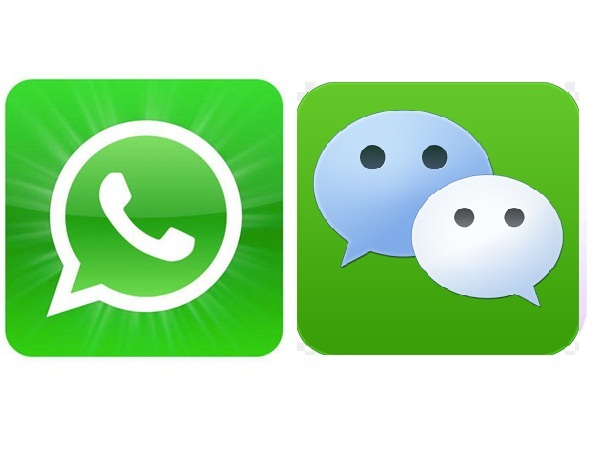 China to challenge UK by 2020? 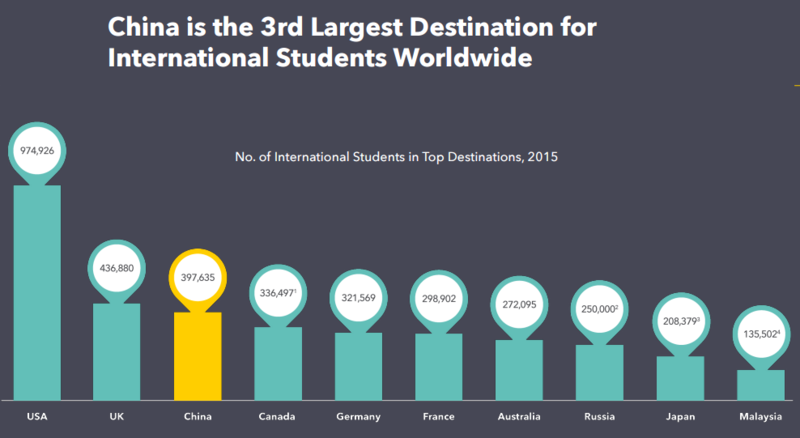 A record breaking 397,635 international students went to China in 2015, solidifying its position as the third most popular destination country for overseas students. 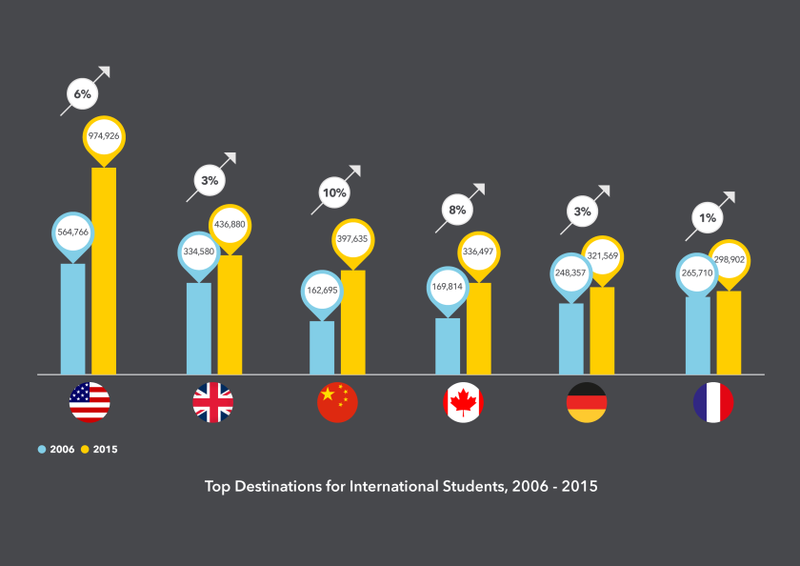 With an average 10% year-on-year growth, the number of international students in China has doubled since 2005, making China the third most popular destination for overseas students, ahead of Canada, Germany and France and behind only the US and the UK. 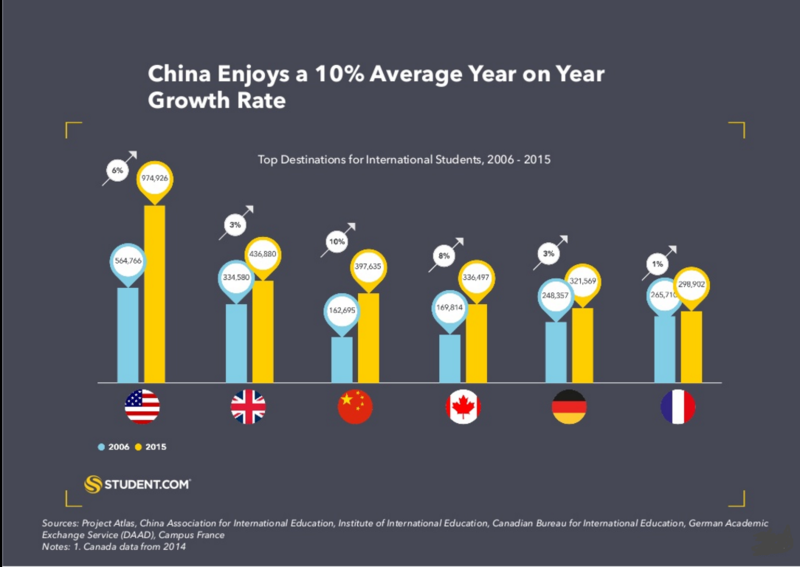 What’s more, despite a recent slowdown, China is still seeing faster growth than the world’s two leading student destinations. 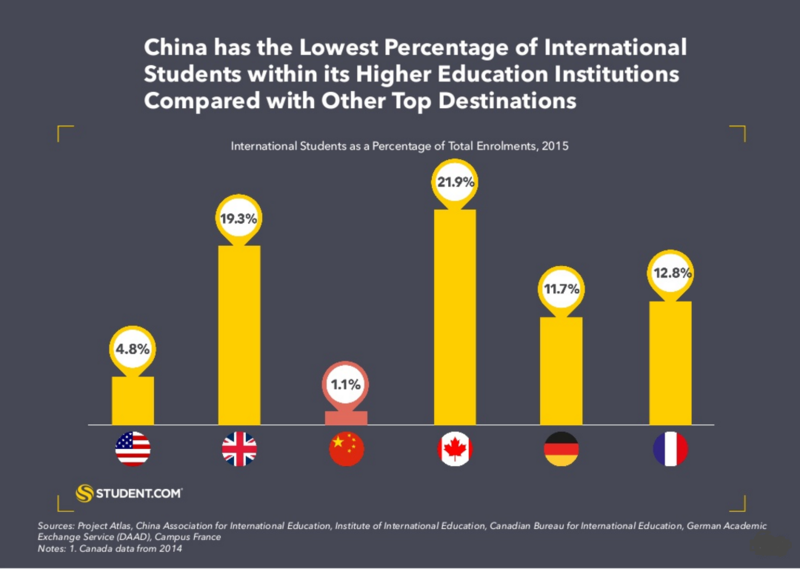 In fact, if last year’s growth rates continue, China will challenge the UK’s position as the world’s second most popular destination for international students by 2020. 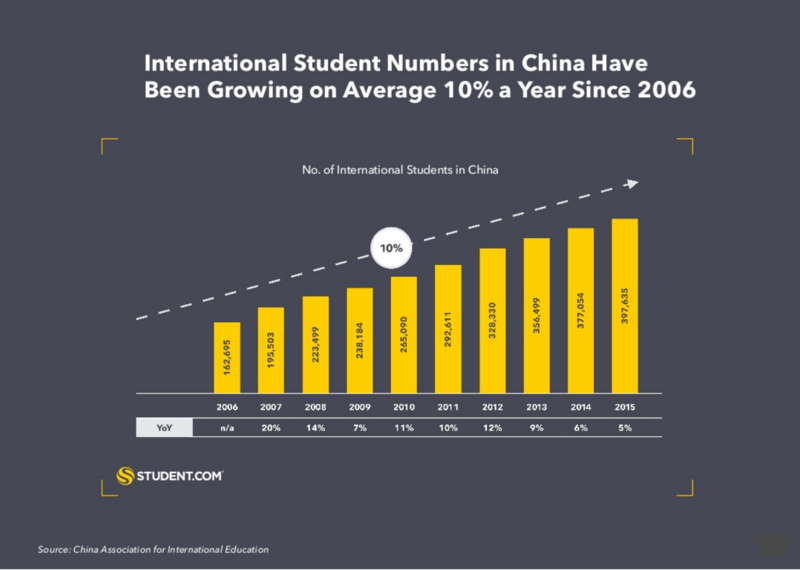 China is seeing a steady increase in international student numbers and the strongest growth has been among degree-seeking students. 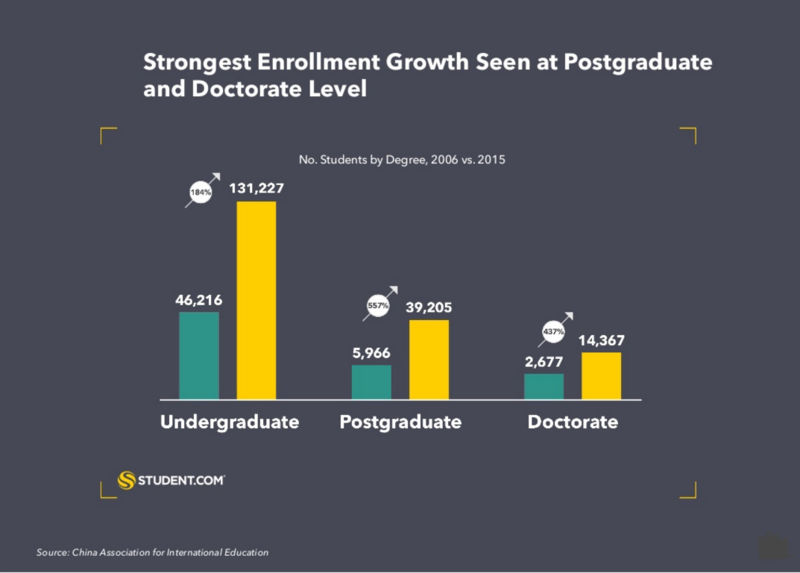 Among this group, the strongest growth in enrolment is at the post-graduate and doctorate levels, which suggests that China is becoming more attractive as a research environment. 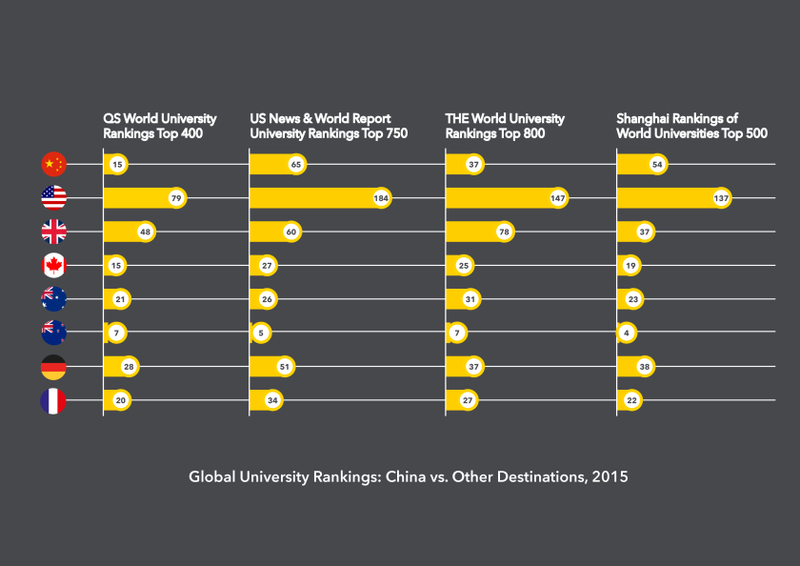 The international standing of Chinese universities has also improved dramatically over the past five years, with the number of Chinese universities included in major global university rankings rising significantly. 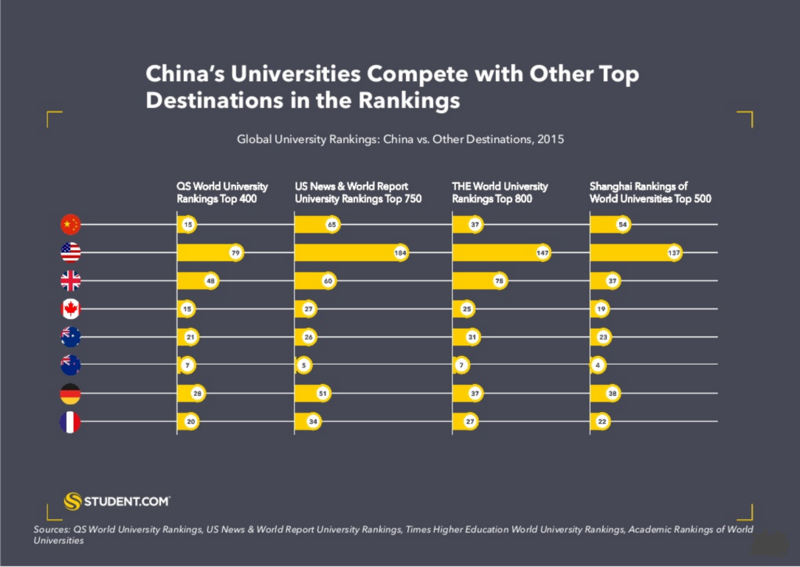 This is a key factor in China’s ability to compete with other top university destinations such as the UK and USA. 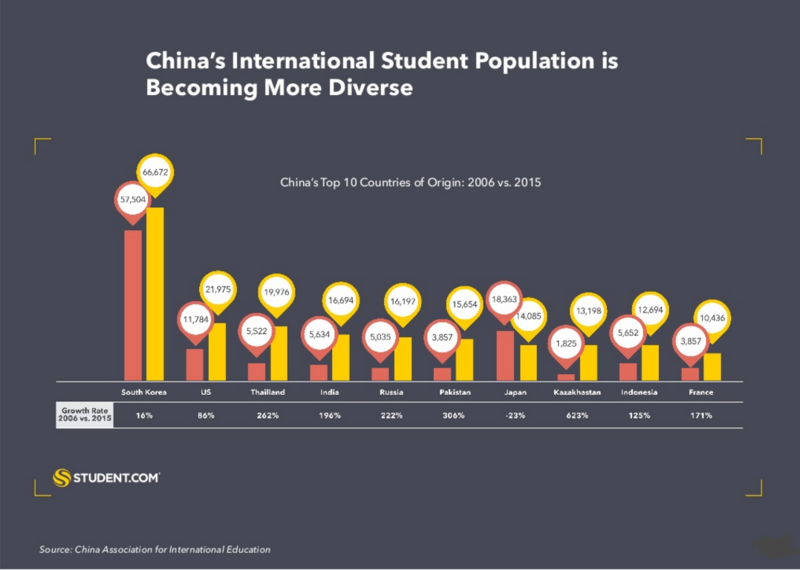 Our report also looks at how the Chinese government has encouraged international students to come to China. 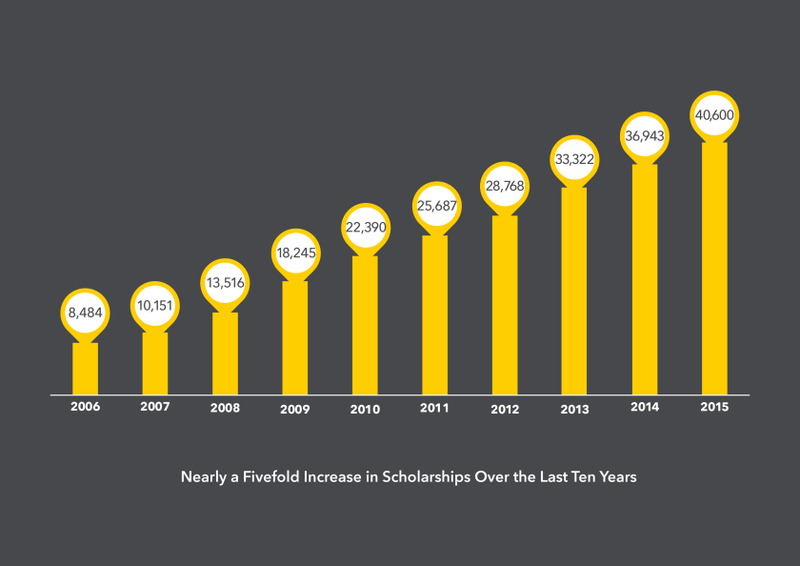 The number of scholarship programs for degree-seeking full-time students has increased significantly in recent years and in 2015, 40% of all international students new to China received government sponsorship. 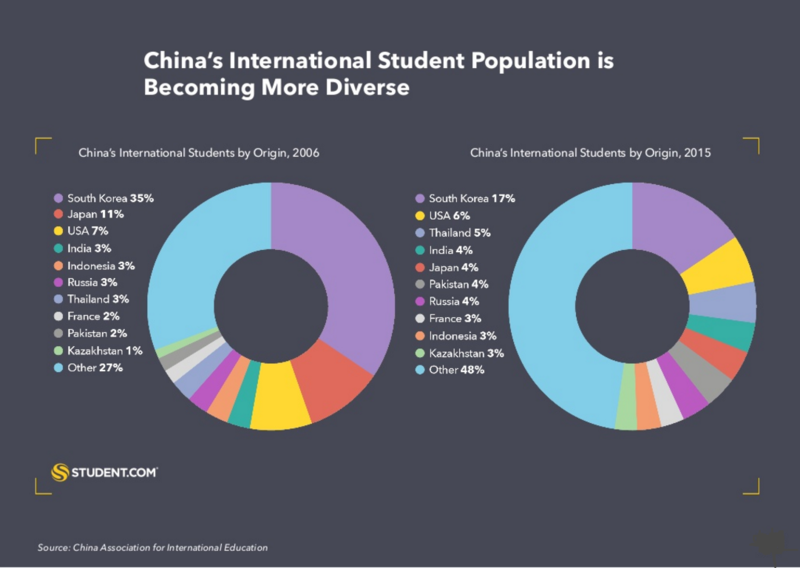 Our analysis suggests that China’s international student population is only set to increase further. 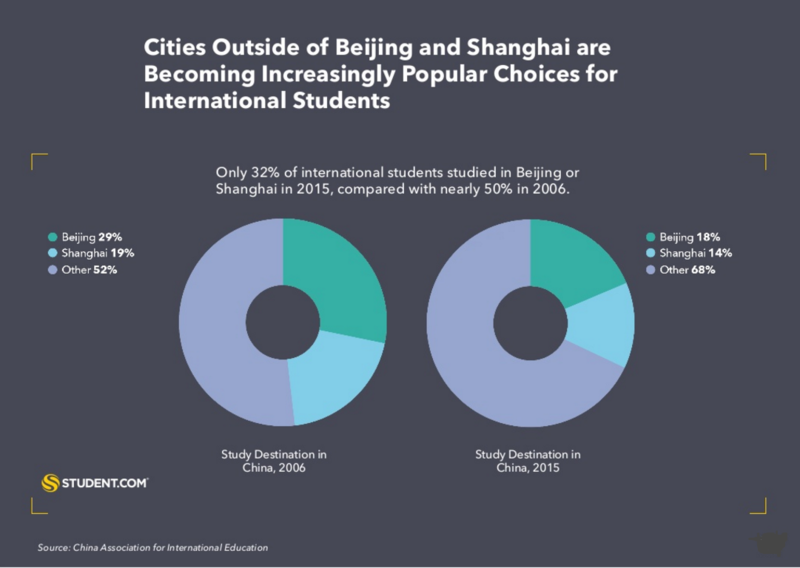 We expect the student housing market in China to develop and grow in tandem with this development, offering unprecedented opportunities for developers of private, purpose-built student accommodation. 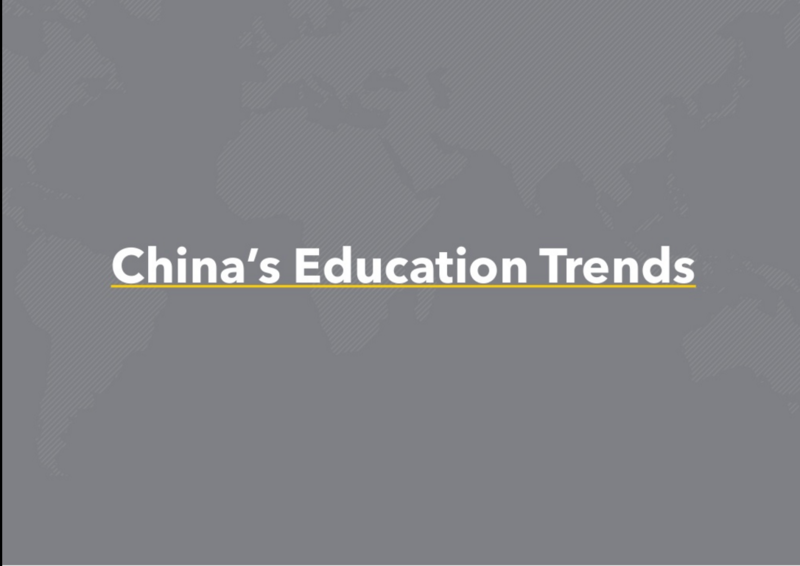 These are just a few of the interesting trends we cover in our report and we’re excited to see China’s development in the years ahead. 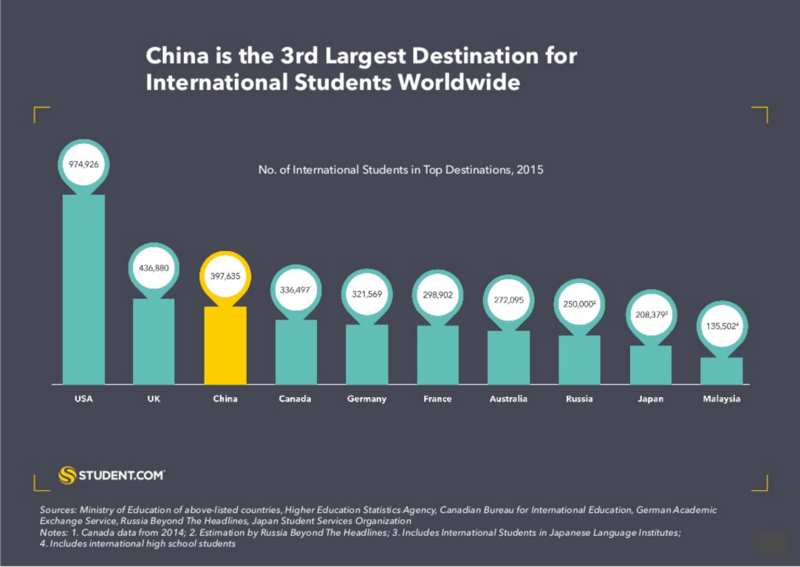 Whether you are a student or an accommodation provider, the ongoing growth of China as an academic destination is likely to represent a fantastic opportunity in the years ahead.